The 411 on Birdsall House. Born: June 28, 1974, Tampa, Fla.
Culinary school: Culinary Institute of America, Hyde Park, N.Y. Experience: Cabo’s in Tallahassee; Bridge Creek Catering, New Paltz; Harvest Café, New Paltz; Chez Panisse, Alice Waters’s restaurant in Berkeley, Calif.
Why he’s one to watch: Hutchins’ cooking — with culinary influences from all over the South, and ingredients from the Hudson Valley — could easily be a hodge-podge of styles and flavors. But it works. As a transplant to our region, he brings an outsider’s perspective. 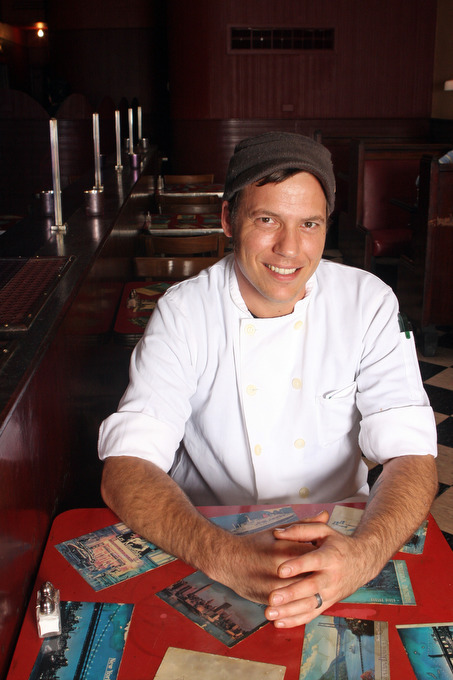 But his creative use of local ingredients emphasizes all that’s special in our own backyard.